The Walther PPQ (Polizei Pistole Quick Defense) is a semi-automatic pistol developed for law enforcement and security forces as a replacement for the P99. Chambered in 9×19mm Parabellum, 9×21mm, .40 S&W, and .22 Long Rifle. 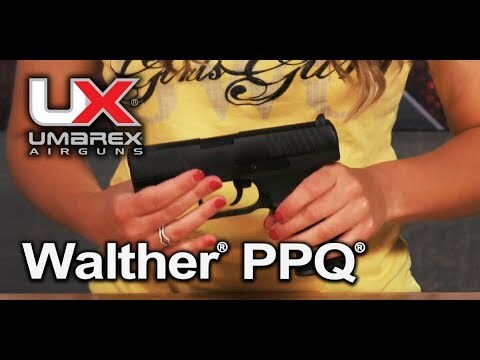 This replica PPQ by Umarex (fully licensed by Walther) is a CO² powered, semi-automatic, .177 lead pellet firing air pistol with a polymer frame. True to the original it even carries authentic markings.